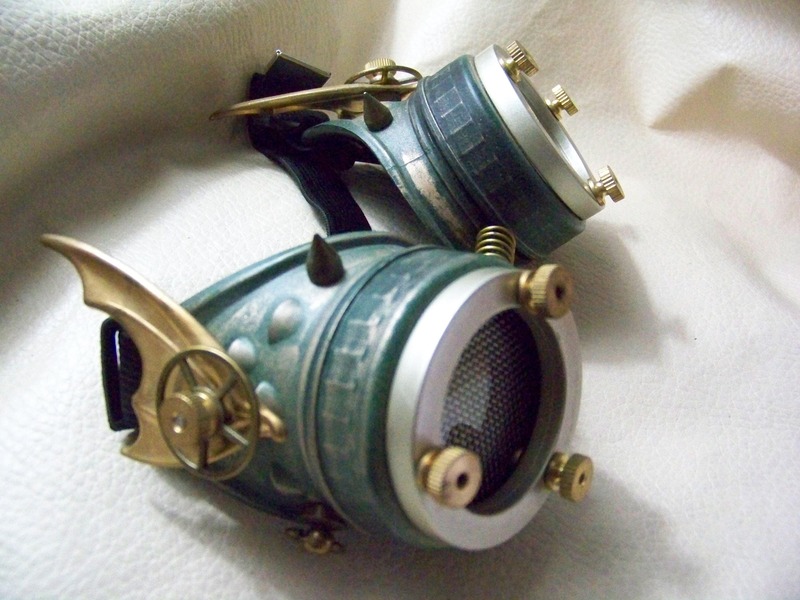 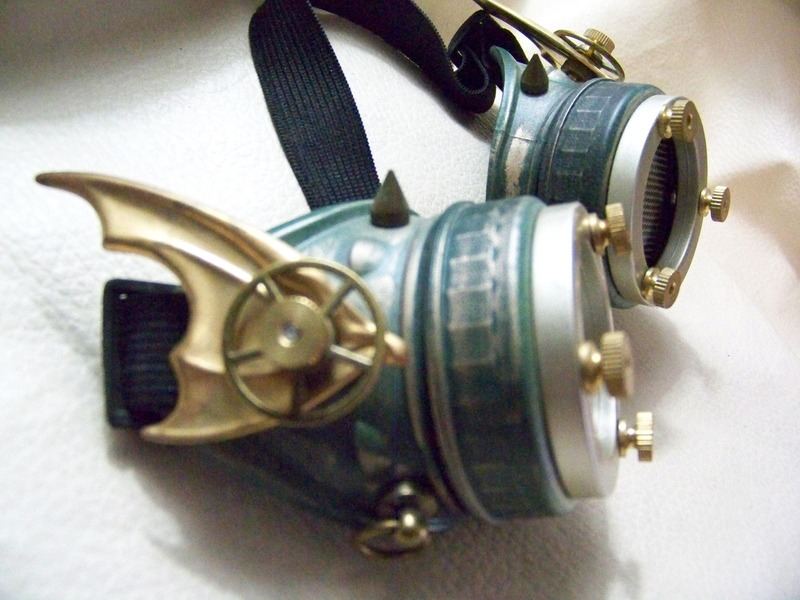 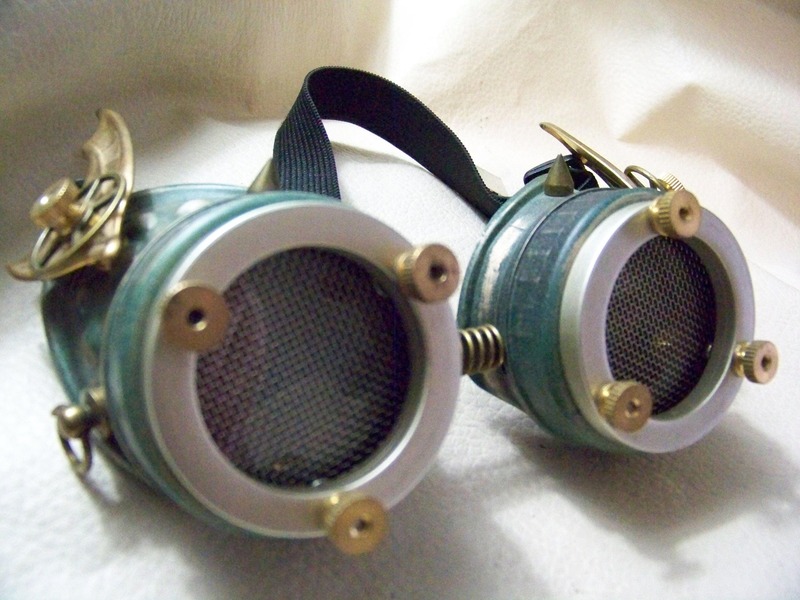 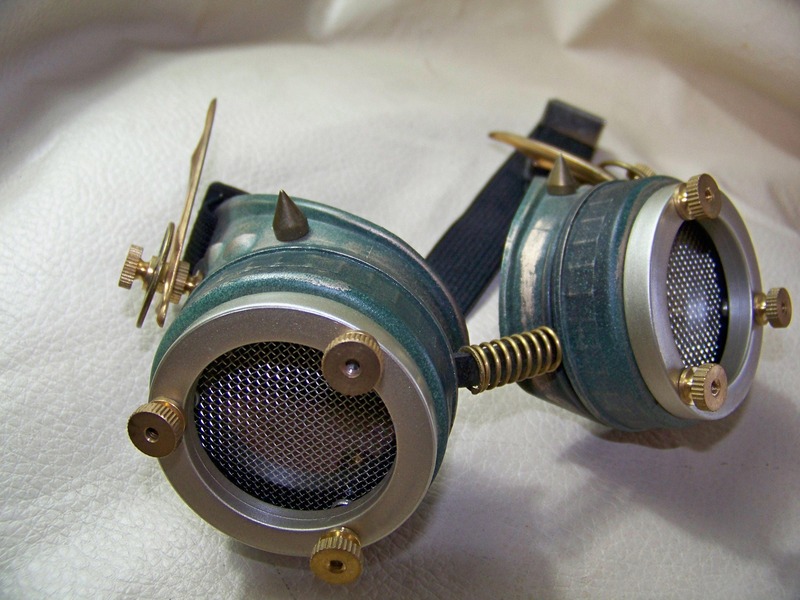 These goggles have a devilish engineering theme. 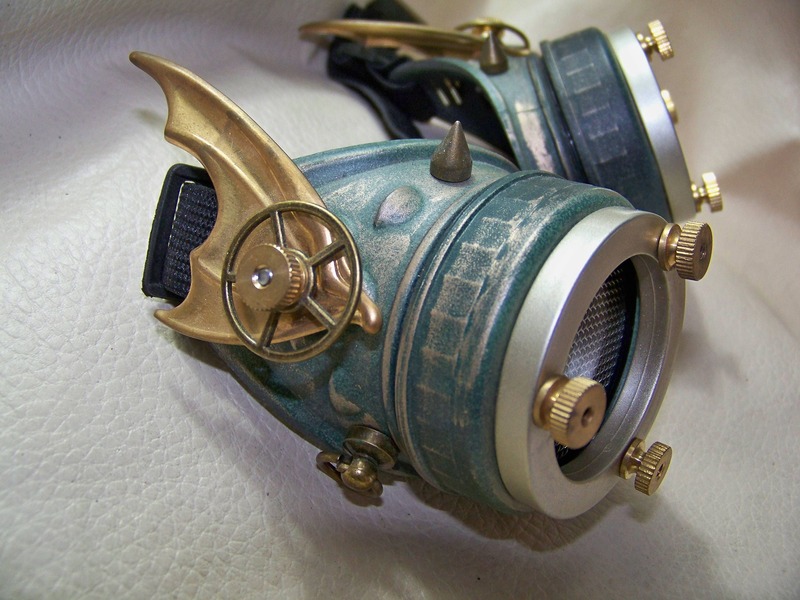 -They have a green base coat with antique gold highlights. 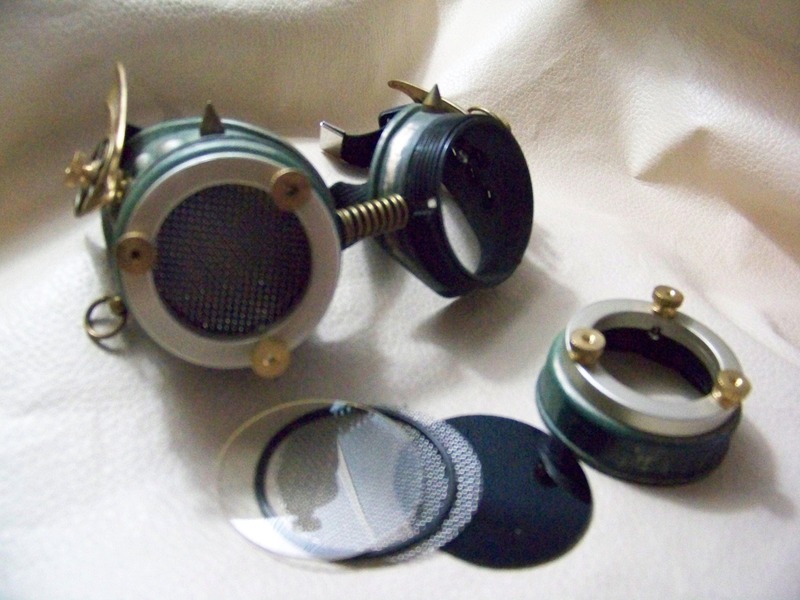 -Nickel hued plastic extension rings are also attached to each eyepiece with brass knurled nuts. 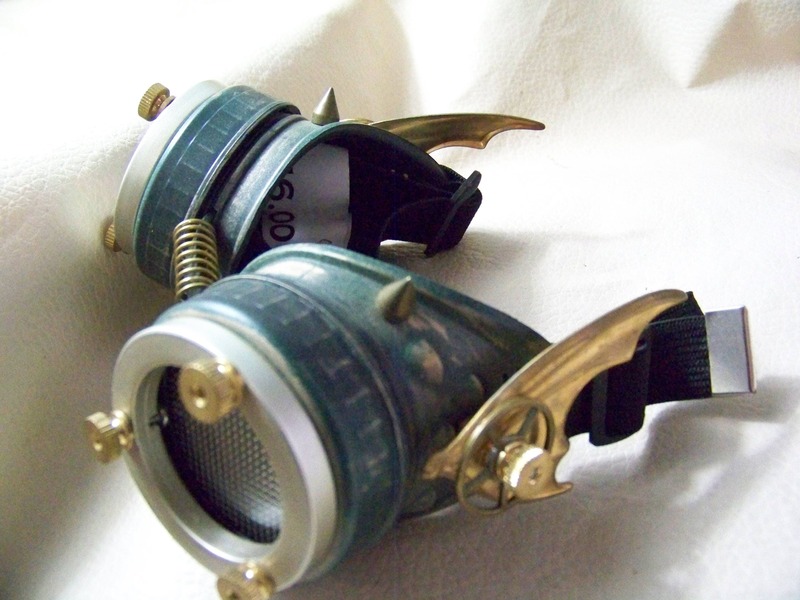 -Small brass spikes and brass stamped bat wings are attached to each as well. 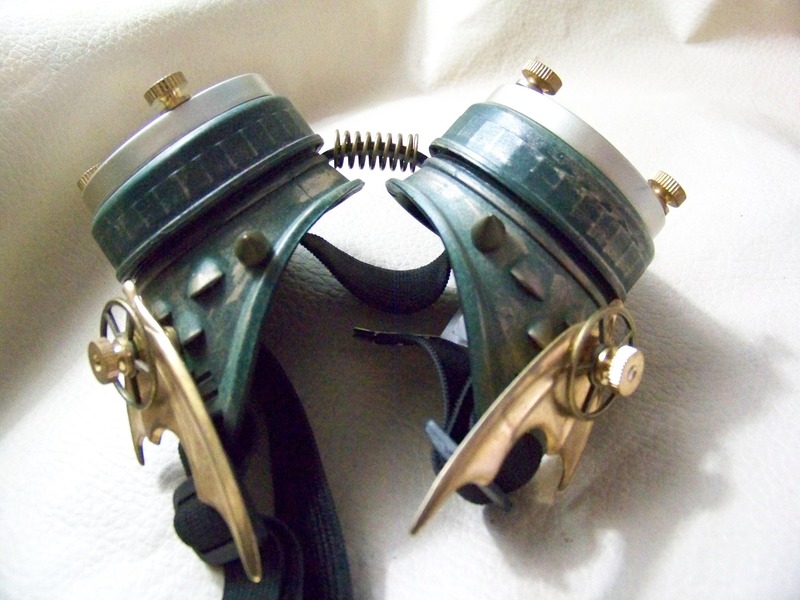 -They include 2-50 mm clear poly-carbonate lenses, 2-shade 3 dark green lenses, 2-50 mm stainless steel inserts and a 3/4" black elastic head band.